The Yesterday’s Child series uses creative storytelling and related lesson plans and activities to promote critical thinking and literacy. The series is unique in that it seeks to expose children not only to history and its legacy today, but also to ancient lifestyles as seen in such cultural touchstones as music, art and food. The Yesterday’s Child curricula are currently designed for grades K-6. Other grades will be included at a later date. Each module is crafted as an adjunct to the social studies programs currently used in the United States. Materials are written to correlate with the National Curriculum Standards for Social Studies: A Framework for Teaching, Learning, and Assessment (http://www.socialstudies.org/standards/strands). All materials are produced to enable teachers to address different ways of learning in children, particularly those with literacy challenges. While adhering to these U.S. standards, the Yesterday’s Child curricula can be used in classrooms outside the United States. In non-English speaking regions, teachers may also find the series encourages English language study. The first entry in the Yesterday’s Child series is The Tale of Yong and Bao. 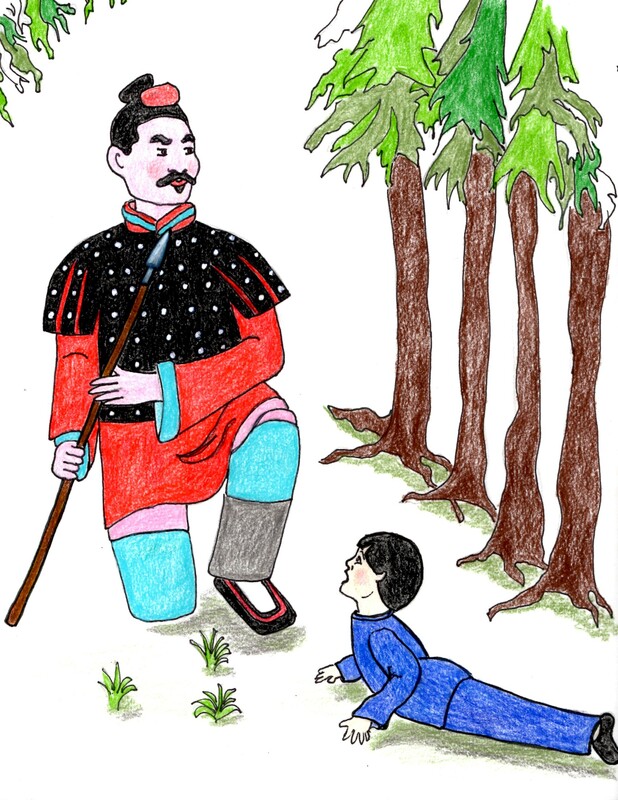 Yong, a small boy living in ancient China during the Qin Dynasty, loses his pet goose Bao. While trying to find her, he discovers two important creations of the Qin Dynasty: the Great Wall of China and the fashioning of the Terracotta Warriors. The curriculum discusses the revolutionary changes made by Emperor Qin Shi Huang, who unified seven warring states and founded modern day China—all at great cost to his people, but with a legacy that survives today. A little boy in Mesopotamia learns about tolerance during the reign of Cyrus the Great, credited with writing the world’s first human rights decree. A young girl in Egypt under the female Pharaoh Hatshepsut dreams about becoming a doctor.